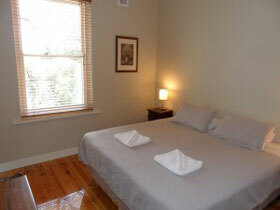 Indulge yourselves, experience the luxury, privacy and romance of Water Bay Villa Bed and Breakfast, a fully restored two storey 1910 Queen Anne Villa in the historic seaside suburb of Glenelg. 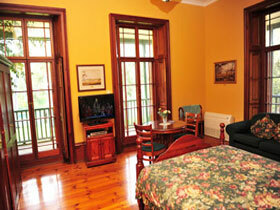 Enjoy a sea breeze on the verandah overlooking the award winning garden or take a stroll to the nearby beach. 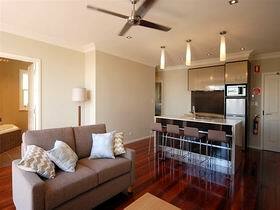 Water Bay Villa is only minutes from Jetty Road with trams to the city of Adelaide, seven day shopping, fun park, restaurants and nearby marina. 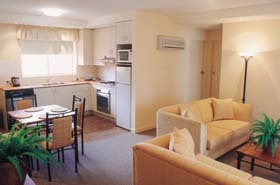 Warwick Apartment is a one bedroom apartment, which features a modern kitchen and bathroom, open plan lounge/dining area, off street parking and private courtyard. 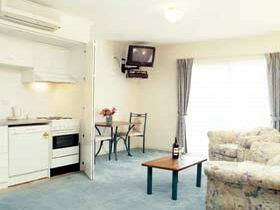 Village Apartments Burnside are delightfully situated in the prestige eastern area of Glenside, five minutes from the Adelaide central business district, fifteen minutes from the Adelaide Airport and a short distance from the South Eastern Freeway. 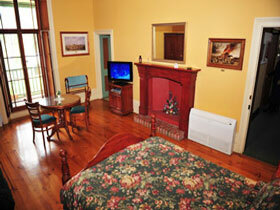 Enjoy close city access by car or public transport. 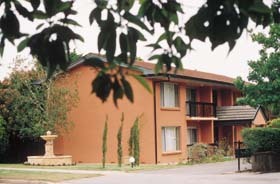 Village Apartments Burnside are quietly situated adjacent to the acclaimed Burnside Village Shopping Centre with outstanding specialist shops, boutiques, gourmet foods, restaurants, gym facilities, alfresco coffee eating areas, cinema and much more. 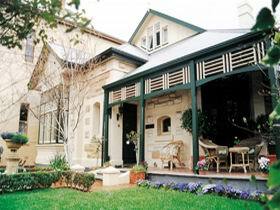 Vale House is Adelaide's oldest residence and was built before 1841. 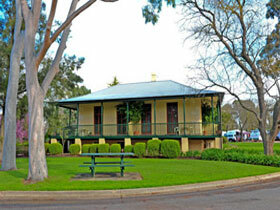 It lies on the banks of the River Torrens in Walkerville and is registered on the National Estate and the State Heritage Register. 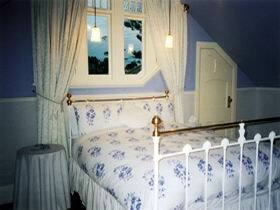 Recently restored and adapted it now offers six self contained luxury heritage apartments. 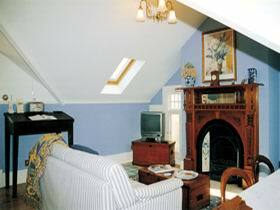 Timeball offers sleek, stylish and contemporary accommodation, while still preserving and showcasing an historic local heritage cottage. 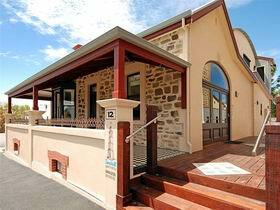 Time and Tide Beach Apartment is situated in the hub of historic Semaphore on the South Australian coast, just 18 kilometres from the central business district of Adelaide. 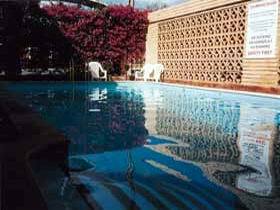 The Time and Tide Beach Apartment is tastefully appointed keeping in mind the needs of a busy couple or a corporate person seeking a sea retreat and sense of calm. 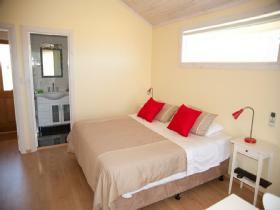 Studio style one and two bedroom apartments. 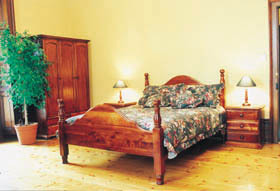 The one bedroom studios are excellent value for money and very popular. 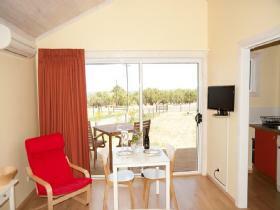 The decor is relaxed and comfortable, all apartments have their own private balcony. 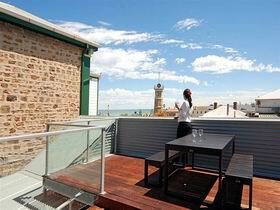 The location is on trendy Melbourne Street, one of Adelaide's cosmopolitan dining streets. 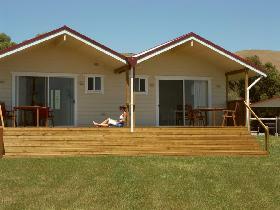 Local transport runs past the door and the property is very secure and safe. 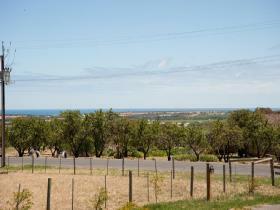 The Viking Farm Bed and Breakfast, offer two European style, fully self-contained units, situated between the historic township of Willunga and the beautiful turquoise sea with seemingly endless beaches. Set in the heart of Adelaide, on North Terrace, the specialist five star boutique Sebel Playford provides the perfect choice for your conference or event. 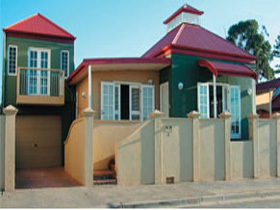 Located opposite the Adelaide Convention Centre and minutes from Adelaide's major retail and restaurant precincts. 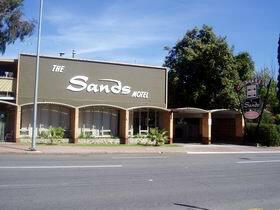 The Sands Motel is family operated and situated on the Princess Highway just three kilometres from the city centre. 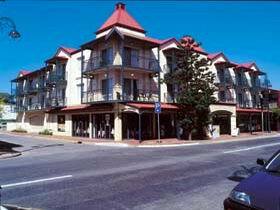 We are within walking distance to the Arkaba Hotel, restaurants, takeaway food outlets including McDonalds, factory shops and supermarkets. 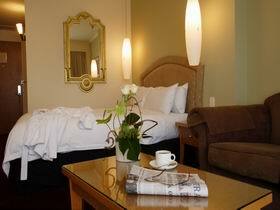 We are on a main bus route to the city and within easy reach of all major city hospitals.